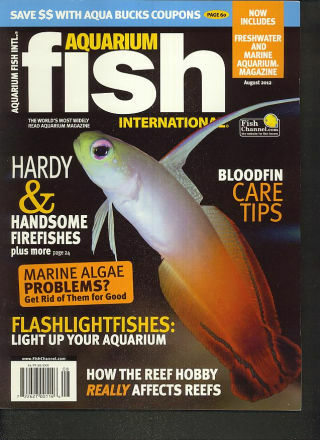 We just got word that Aquarium Fish International, a once widely circulated paid subscription aquarium magazine that’s been in existence for more than two decades, is shutting down shop for good. Published by Bow Tie Inc., this printed medium for everything aquarium related covered virtually every aspect of the hobby and was frequently contributed to by famous salty personalities like Scott W. Michael and Charles Delbeek. Unfortunately, the constantly increasing migration of aquarium hobbyists onto the online world of aquarium keeping, which includes forums, blogs, and free online magazines, put enough stress on the magazine to force Bow Tie Inc. to stop printing it. 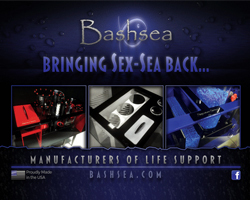 You might also recall Bow Tie Inc. pulling the plug on their Freshwater and Marine Aquarium Magazine in March of 2010. AFI magazine was a staple on my coffee table and bookshelves for years, but as the forum segment of the aquarium hobby grew to such massive levels and I began sourcing almost every tidbit of information online (and on demand), the print media quickly lost ground. This is likely a similar situation for a majority of AFI’s readers, which is unfortunate because the information on the pages was quite valuable. Still more disheartening is the fact that hobbyists wanted more information with the instant gratification of the web, something the print format could never even hope to deliver except for once a month. After a while, the magazine just couldn’t keep up with the growing demand and the always hefty prices of print media, and Bow Tie Inc. had to yet again trim the fat. While we do expect some companies to come and go in the days of modern aquarium keeping, it’s always an especially sad moment with a company that’s been so prevalant in your background moves on. We don’t know what sort of impact this will have on the rest of the Bow Tie Inc. lineup, or if other magazines are getting close to closing down as well, but we’ll stay on top of it and report back.